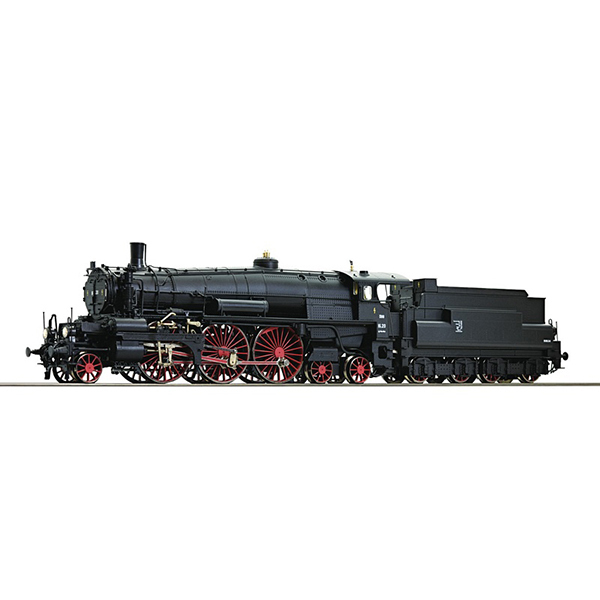 Steam locomotive 16.20 of the Austrian Federal Railways. Model Description: Motor with flywheel. Drive on both outer tender axles as well as on the coupler axles by the means of a drive shaft. Elaborately designed spoked wheels. Digital Interface according to NEM 652 standards for the adaptation of a decoder. Coupler pocket according to NEM 362 standards with close coupler motion link. Dual headlight that changes with the direction of travel. The AC model is equipped with digitally switchable sound functions.